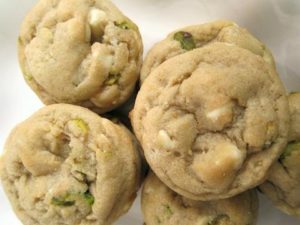 These soft and chewy White Chocolate Pistachio Cookies are delightful alternative to the usual chocolate chip cookies. Preheat oven to 350°F (175°C). Lightly grease baking sheets with cooking spray. Using an electric mixer, cream butter, granulater sugar and dark brown sugar together. Beat in eggs, milk and vanilla until combined. 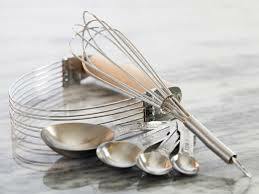 In another mixing bowl, combine flour, baking soda, baking powder and salt. Process oats in blender or food processor, leaving some texture. Gradually add flour mixture and chopped oats to butter mixture, mixing well. Stir in 1 cup pistachios and white chocolate chips. 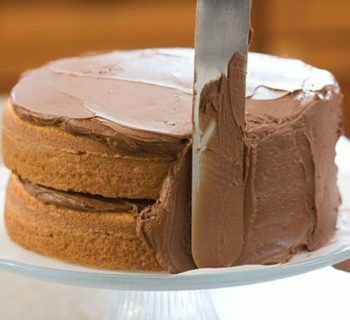 Drop mixture by heaping teaspoons onto greased baking sheets, allowing for spreading. Sprinkle and press remaining pistachios on top of cookie dough. 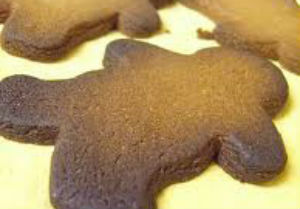 Bake cookies for 8 to 10 minutes or until golden brown. Let cool slightly on sheet to set up. Makes 4 dozen cookies.